The route does not have any special marking, it is numbered using usual numbers - the numbers are listed in the description of the cycling path below. You can visit many of the original mountain chalets in Beskydy Mountains on this route and use facilities they offer for your refreshment or accommodation. This is a more challenging route with a length of 58.2 km, which is intended for cyclists on mountain bikes. The route goes along the Czech part of the Euroregion on marked cycling routes Regiotour no. 56, 6081, 6082, 6083, 6086, 6088. 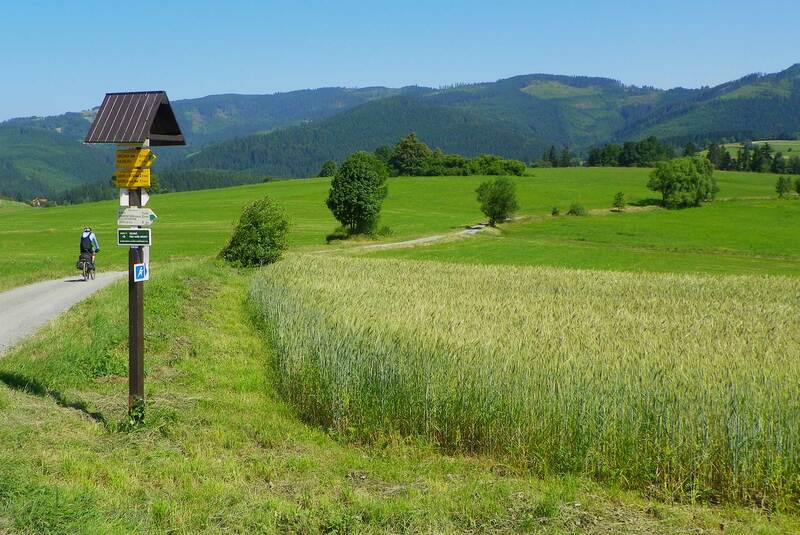 The route starts in Jablunkov then it continues through picturesque valleys to the chalets of Beskydy Mountains.